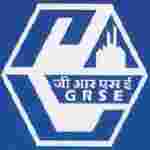 GRSE recruitment 2017 notification has been released on official website www.grse.nic.in for the recruitment of 01 (one) for Assistant Company Secretary Vacancy. Job seekers should apply from 06th December 2017 and before 26th December 2017. Here on this page you will get the details like the Name of vacancies released by GRSE with exact number of posts. Some other criteria like Education details, application fee and way to apply application for GRSE recruitment 2017. Educational Qualification: Associate Member of the Institute of Company Secretaries of India. Age Limit: The age of candidate should be between 28 years as on 01.11.2017. Fee charges: Applicants who wanted to participate for GRSE should pay the below charges through Bank Challan mode at any branch of State Bank of India (SBI). Interested and eligible aspirants should apply online through the website www.grse.nic.in from 06.11.2017 to 26.12.2017 send hard copy of Online application form along with self-attested copies of testimonials / certificates in support of Date of Birth, Category, Educational & Professional qualification, experience etc. by Ordinary Post to Post Box No. 3076, Lodhi Road, New Delhi – 110003 on or before 05.01.2018.